Wilfried Zaha (£5.4million) topped the Bonus Point System (BPS) as Crystal Palace notched their first win of 2016/17 against Middlesbrough. The winger had failed to earn a single bonus point over 34 appearances last season but a goal and an assist saw him record 35 BPS to earn three at the Riverside. Zaha provided a drifted cross to the far post to allow Christian Benteke (£7.5m) to open his Eagles account. That goal helped the Belgian to 27 BPS and a single additional point. Middlesbrough's Antonio Barragan (£4.5m) divided the Palace attackers, earning 28 BPS. Despite shipping two goals, the Spaniard's efforts were recognised with two bonus points. He made 10 recoveries and won six tackles in defence and also raided forward from right-back, completing five dribbles. Zaha also sat top of the ICT Index in this match, although there were some modest scores on show. A total of 11.4 was enough to see Zaha prevail, with his goal and assist helping him to a score of 59 for Influence. Benteke ranked second with a score of 9.7 in the Index. This was mainly thanks to a score of 43 for Threat, generated from six touches in the Boro penalty area and his one on-target effort for the goal. Stewart Downing (£5.4m) ranked third courtesy of 58 for Creativity - the highest tally on show. The winger teed up three chances for team-mates and attempted 15 crosses - more than any other player in Gameweek 4 so far. Zaha's rise to prominence in this match could indicate that he could be a factor in our FPL seasons, although his record in previous campaigns promotes caution; he recorded only two goals and five assists from 34 outings last season. Should Zaha continue to convince, interest in Andros Townsend (£6.4m) will likely diminish further. The former Tottenham Hotspur winger has been shed by more than 60,000 FPL owners since Gameweek 1, having failed to earn a single goal or assist to this point. 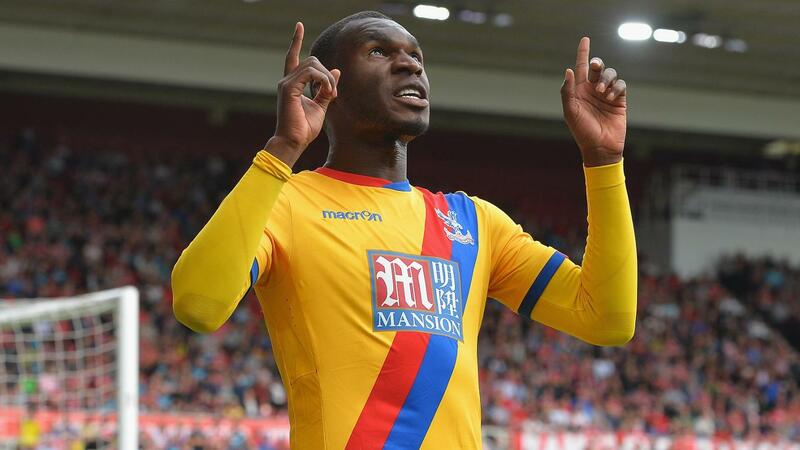 Benteke is likely to emerge as the Eagles' key attacking asset - he looks a tempting proposition for the Gameweek 5 home meeting with Stoke City. The Potters sit bottom of the table, having conceded 10 goals over their four matches to date. Middlesbrough's Alvaro Negredo (£6.9m) has now gone three matches without a goal and has recorded only three attempts in those outings. Found in 32.1% of squads, the Spaniard was shown the exit door by more than 15,000 FPL managers in the last 24 hours - only Manchester City's Sergio Aguero (£13.0m) and Liverpool’s Philippe Coutinho (£8.2m) suffered more sales.